Time and money have become crucial factors in bringing a successful drug to market. In this article, a pharmaceutical executive director shares how ScienceDirect, with its wide breadth and depth of scholarly research, helps overcome these challenges. With time and money becoming more crucial factors in drug discovery and development, it must be proven in a relatively short amount of time that an idea will be successful. Ken Balthis, a Senior Executive Director at a global animal health company, is tasked with identifying new technologies for application to animal health and overseeing vaccine research. Because the number of drug approvals is the most important metric of success at his company, he has to be sure he’s working with the best ideas. To ensure that’s the case, he must be able to answer three questions quickly and effectively: Does it make commercial sense? What are the chances of succeeding technically? What are the chances of regulatory approval? To answer these questions, Balthis uses ScienceDirect, which allows him to access the full breadth and depth of Elsevier’s research. 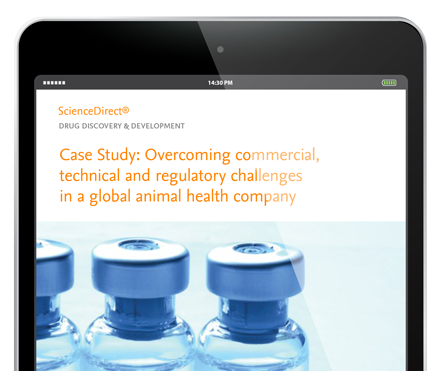 ScienceDirect helps him assess the commercial feasibility of a new drug by allowing him to look at the markets, see how many animal patients there are and determine what the potential income might be if the research is successful. 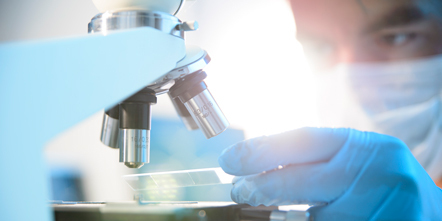 ScienceDirect also enables thorough technical feasibility assessments to help pharma companies decide whether or not to move forward with a project. The full-text articles make it possible for Balthis and his team to see exactly how experiments are set up and conducted, giving them the ability to do an in-depth analysis not possible with just abstracts. 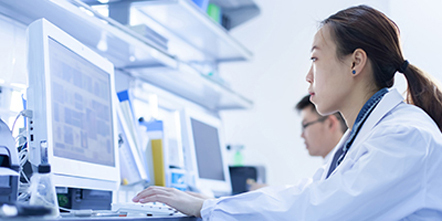 ScienceDirect significantly improves the team’s chances of success because it helps them identify new targets and understand side effects, toxicities and even adverse events. It has a direct impact on every single drug that they take to market. The ability to do proper literature research with ScienceDirect increases Balthis’ and his team’s R&D productivity. Being able to cross check a wide variety of different studies has helped them to get critical insight that prevented the company from investing in something that would have turned into a dead end. Ready to get started with ScienceDirect?